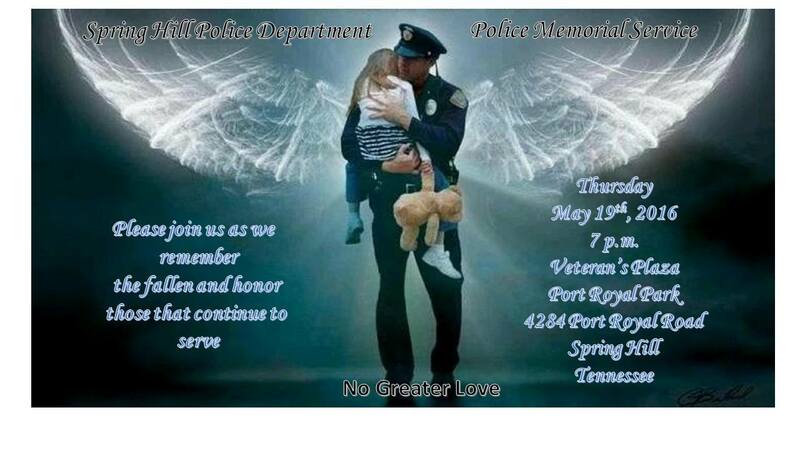 The community is invited to join Spring Hill Police at 7 p.m. Thurs., May 19, at Port Royal Park, for the annual SHPD Police Memorial, to remember the fallen and honor all who serve. All city, county and state law enforcement are encouraged to attend.